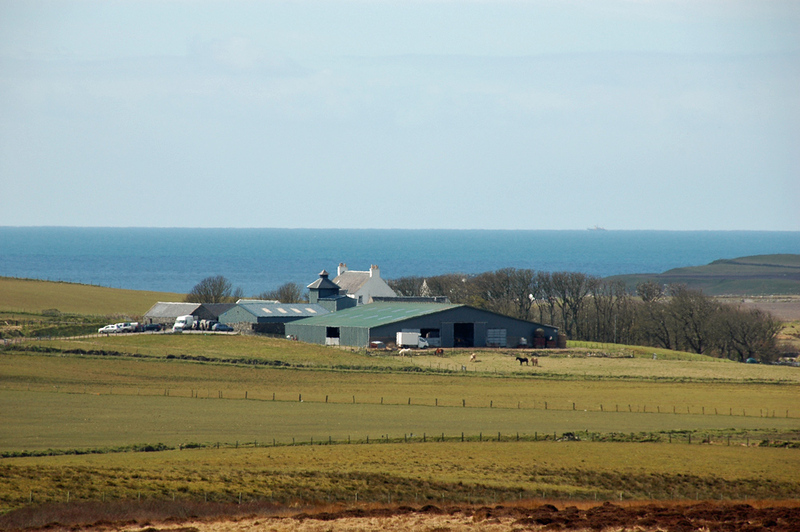 A view of Rockside Farm with Kilchoman Distillery from the fields behind the farm on Islay. In the foreground the large cattle shed, behind it and to the left some of the distillery buildings including the pagoda. On the far left farm buildings again. The white house is the farm house. And while it is not directly at the sea it is still very close to the Atlantic which you can see in the background. This entry was posted in Distilleries, Landscape, Repost, Sunny Weather and tagged Islay, Kilchoman, Rhinns of Islay, Rockside Farm by Armin Grewe. Bookmark the permalink.